The second wave of Kitchenpro’sCulinary Social Responsibility (CSR) project that focuses on Culinary Scholarships, Culinary Education, & Livelihood Programs was at the famous “Durian Capital” of the Philippines – Davao City. 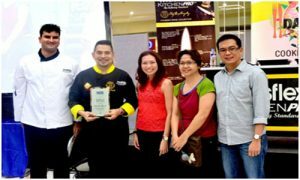 Wow Davao Cooking Demo by Kitchenpro ambassador Chef Gene Gonzalez was held in NCCC Mall last August 29, 2015. More than 200 guests attended the said event composed of Culinary and HRM professors, students, media men, and foodie. Audience members have enjoyed the free taste which Chef Gene prepared highlighting four Davaoeño dishes that are all made from Davao’s famous and fresh ingredients. 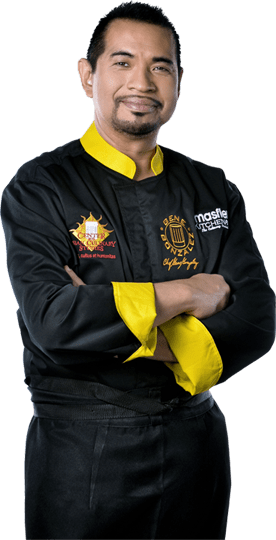 He shared the recipes for Pinakbet Paella made of Davao’s fresh vegetables, Sarsaparilla Chicken to feature the rich poultry industry of Davao, Maja Durian, and Army Soup. In addition to flavorful recipes that Chef Gene imparted, special guests Adobo Queen, Ms. Nancy Reyes-Lumen together with Appetite magazine Editor-in-Chief, Ms. Nina Daza-Puyat also shared some important cooking tips. They also taught the audience members in a popcorn cooking portion to have a firsthand experience using Kitchenpro and Masflex products. This event was also attended by Mr. Roberto Alabado III, Regional Director of Department of Tourism Region XI. The program won’t be complete without Chef Gene’s famous Live Fruit Ninja portion where he cut the watermelon in mid-air in front of the live audience using KitchenPro 10″ Chef’s Knife. All guests have received gift packs from Kitchenpro, Masflex, San Miguel PureFoods, Magnolia, Clara Ole, Ideal Macaroni, Ajinomoto, Hunt’s Pork & Beans, Hunt’s Sauces, Mother’s Best, Jolly Food and Good Life. Chef Gene wrapped up the event by raffling offKitchenPro knives, had his autograph signing and picture taking at the end of the program.